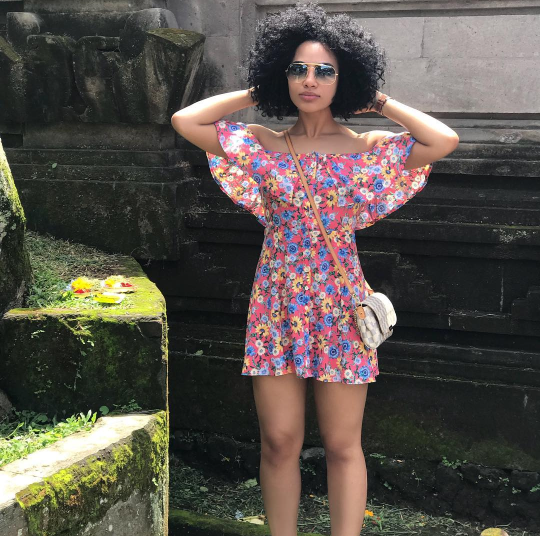 Home / Amanda du-Pont / Celebrity / 29 Year-old Amanda Du Pont Shows Off Fit And Thick Bikini Body On Vacation! 29 Year-old Amanda Du Pont Shows Off Fit And Thick Bikini Body On Vacation! Pic! Amanda Du Pont Shows Off Fit And Thick Bikini Body On Vacation! If you’ve been wondering where Amanda has been hiding, we got the answer for you- in the gym. The gorgeous TV star is currently living it up in Bali and showing off all her hard work in the gym. We’ve always known Amanda had a hot bikini bod but have you seen her lately?! Talk about fit and thick, watch out Boity!